The PTO welcomes all families onto campus at the beginning of the school year for an outdoor cookout, fun games, and raffle prizes! Trinity welcomes and honors those who have served America by inviting them to Veterans Day Chapel. Students have a rare chance to thank veterans from WWII and beyond for their services to our country. Every year, Trinity's fathers and daughters dress in their best and come together to attend the Father-Daughter Dance. Both Lower and Upper School daughters have the opportunity to attend. 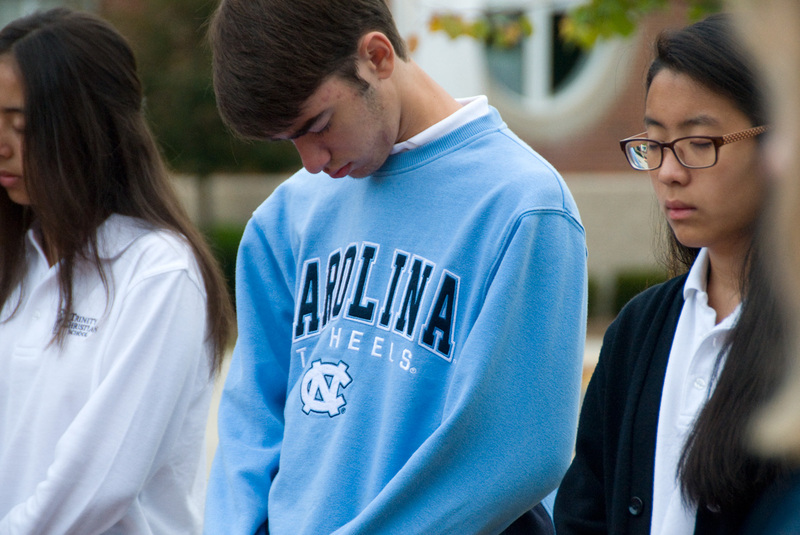 Each year, on the fourth Wednesday in September, Trinity students participate in See You at the Pole™, the global day of student prayer. Each year's Homecoming is themed and celebrated by Trinity, starting with the annual Alumni Brunch and finishing with the Homecoming Games and Homecoming Dance. Upper School parties, held at family homes at the beginning of the year, help students connect and bond with other students in their grades. Trinity's alumni come back to the school right after the winter holiday to visit with current faculty, staff, and students. They also provide insight into college life for present students. On Grandfriends Day, Grandparents and friends of Lower School students are invited to our campus for student performances which celebrate Memorial Day. Seniors are greeted by younger students as they walk through the halls of Trinity on their first and last days as high school seniors. This helps our younger students recognize the importance of graduation and creates a connection with our seniors.